What are the best rated infrared heaters? Our team spent close to 16 hours researching 20 different infrared heaters. 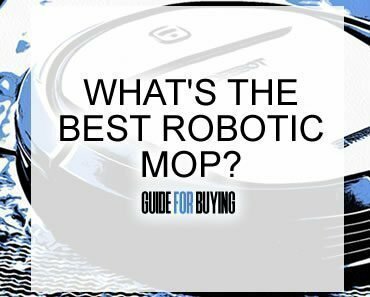 We read hundreds of customer reviews, watched consumer videos and and read advice from experts in the field. 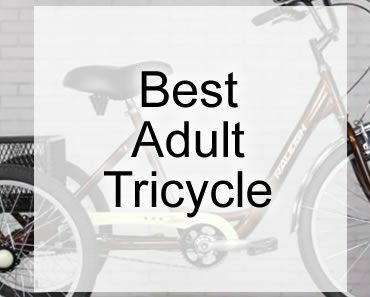 From this research, we narrowed this down to our top pick and four runners-up. Infrared heating is a technology that is catching on both in commercial and residential buildings. It offers several advantages over conventional-type heaters. So, what are the best rated infrared heaters? How is infrared heat different from “conventional” heat? What are the advantages and disadvantages of infrared heat? Infrared heat (IH) is actually light, but it’s not light that can be detected by the human eye. Light is measured on a spectrum that appears to the human eye as the colors of the rainbow (red, yellow, green, blue, indigo and violet). However, there is light that rests outside of the “visible spectrum.” This light is still light, even though humans can’t see it. Picture the colors of the rainbow forming a straight, horizontal bar. Red lies on the far left, violet on the far right and the other colors in between. Now picture that bar as if it was extended on both sides. To the right of the color violet lies ultraviolet light (the kind that causes your skin to burn on a sunny day). To the left of the color red lights infrared light. All light is energy and gives off heat. Light on the left side of the spectrum is warmer than light on the right side. The further left you go on the spectrum (including the part humans can’t see), the hotter the energy it produces. This means that infrared light has a lot of energy and is detected as being hotter in temperature. The cool thing about infrared heat is how it is actually transmitted. We’ll look at that in the next section. How is Infrared Heat Different From Conventional Heat? When it comes to heating your home, most people in North America are used to the heat produced by a furnace of some type. It doesn’t matter whether your furnace is powered by electricity, oil or natural gas: the heat that it produces is the same. The way it is transmitted is also the same. A furnace heats up the air in the space around it (usually aided by a fan/blower, known as “forced air”). When you walk into a room heated by a furnace, you feel warm because the air around you is warm. Infrared heat is different. An infrared heater doesn’t warm the surrounding air; it actually transfers heat directly to any object in its path, including a person. Because of this, infrared heat feels different than regular heat. It is actually able to penetrate the surface of the skin. Infrared heat mimics the feeling you get from the sun’s heat. It feels almost as if the heat is coming from inside-out, rather than outside-in. Many people find it to feel more pleasant and comfortable than traditional heating. The reason more consumers are turning to infrared heat (especially when it comes to portable units/space heaters) is for its efficiency. Traditional heating, like the kind produced by a furnace, heats the air. This is why, to maintain a room at, say 71 degrees, your furnace has to keep turning on again and again. It may heat the room to 71 degrees, but before long some of that heat dissipates, and the room temperature drops by a few degrees. By contrast, infrared heaters heat up an object (i.e. a person), not the air. Therefore, much less heat is lost. In short, people stay warmer, longer, with infrared heating. All light gives off some electromagnetic radiation. The amounts found on the visible spectrum (the light humans can see) is very small and inconsequential. Light that falls on the either side of the spectrum (the invisible light) has more electromagnetic energy. The further down the spectrum (and away from the visible part), the more electromagnetic energy it emits. Infrared heaters give off near infrared light, and so has radiation levels considered below the just below threshold of what is safe for human exposure. Although there are studies being conducted on infrared light from these types of heaters, very few have reached conclusive results yet. Infrared heaters simply haven’t been around long enough to reveal long-term health effects. For now, science tells use that, since infrared heaters only use near infrared waves, they are considered safe for use. One added benefit may come from the fact that quartz is used in infrared heaters. It is the quartz that transmits the heat. Quartz is also said to give off “negative ions” when heated up. Negative ions purify the air, and may also contribute to elevated mood. 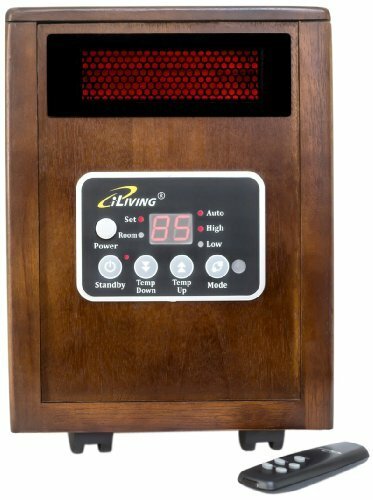 The iLIVING Infrared Portable heater has a lot going for it, including its price. Although it’s not the least expensive on our best rated infrared heaters list, it is very reasonably-priced. However, it was its features that really hooked us and got this one on our best rated infrared heaters top five. It is capable of heating most rooms easily, even larger-than-average ones. Plus, it has an adequate and comfortable heat range. It also sports some technology this is exclusive to iLiving. 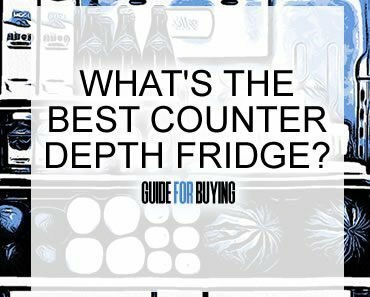 This includes its dual heating system and its super-quiet operation. This little heater is made of real wood and looks beautiful rather than industrial. It moves easily from room to room thanks to four caster wheels that can roll in any direction. Plus, you never have to replace its filter because it’s washable. 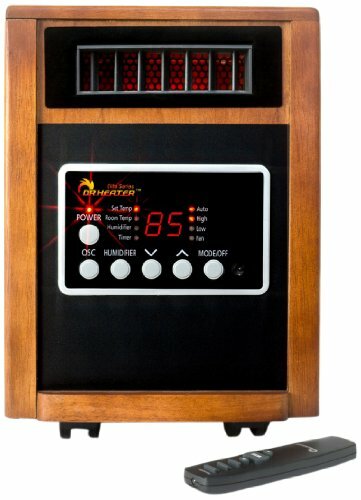 The Dr Infrared Heater DR998 has some features that even our number one best rated infrared heater doesn’t have, starting with oscillation. This allows the unit to oscillate (turn) so that heat can reach multiple directions. A person need not be sitting directly in front of it to feel it. It also has a built-in humidifier. Winter air tends to be dry. The humidifier can be activated to combat this, adding a bit of moisture to the environment. The nice thing about these extra features is that they can be used with or without the heater turned on. This means you can use the oscillating fan in the summertime. You can also use the humidifier any time of year. 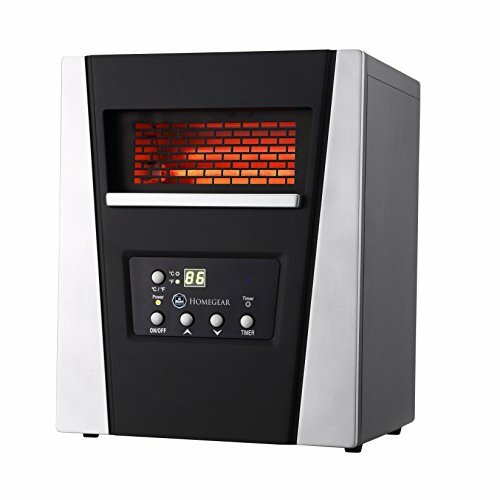 Like the previous model on our list, the Dr Infrared Heater DR998 comes with a “lifetime filter.” You can clean it and use it again; no dirty, wasteful throwaway filters are needed. Available in gorgeous real walnut or cherry wood, this unit looks stunning in any room of the house. 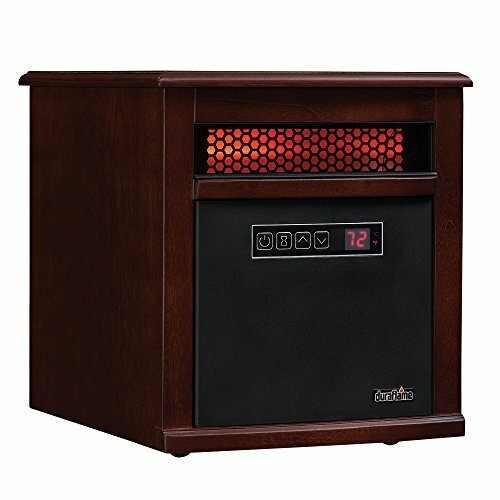 Plus, its three-year warranty is one of the longest we’ve seen for an infrared heater. This should inspire confidence about the kind of performance you can expect. You don’t have to spend hundreds to get the benefits of infrared heat in your home. Nor do you have to sacrifice performance. This device proves it. Not only that, but the Homegear 1500 SqFt Infrared Electric Portable Space Heater is capable of heating up to 1500 square feet with ease. Despite the fact that it is the least expensive on our best rated infrared heaters list, it heats the largest space of all five. It may not have the bells and whistles of some of the other units on the list, but it has quality parts, In fact, it is the only one that has two different types of heating tubes: quartz and mica. These dual types distribute warmth even faster than quartz alone. Timer: . 30 minutes to 8 hours. 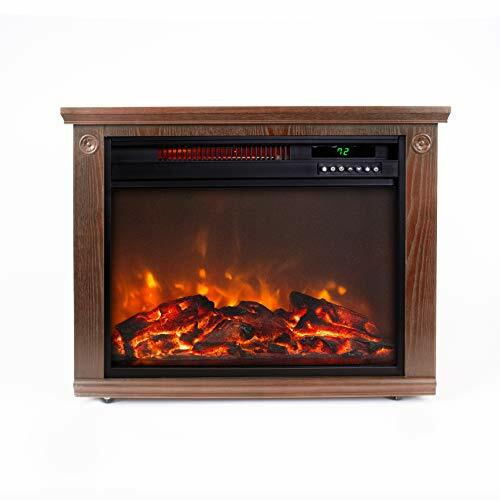 The Duraflame 9HM9342-C299 Portable Electric Infrared Quartz Heater places high emphasis on safety. Duraflame has been manufacturing flame-burning products for decades with and is trusted by millions. With features like thermal cutoff, tip-over safety, “safer plug” and cool-touch technology, you’ll never have to worry about your kids or pets around it. There are a couple of other things that impressed us about the Duraflame 9HM9342-C299. One thing that sets it apart on our best rated infrared heaters list is its hidden casters. You’ll be able to easily move it from room to room and no one will even know the casters are there. 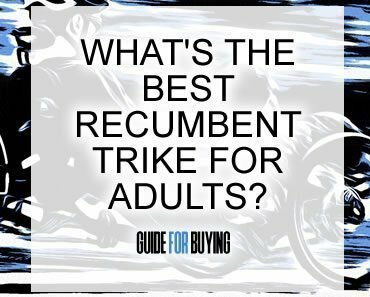 Additionally, we think the Duraflame 9HM9342-C299 will have great appeal to those who don’t have the time or the inclination to put things together. 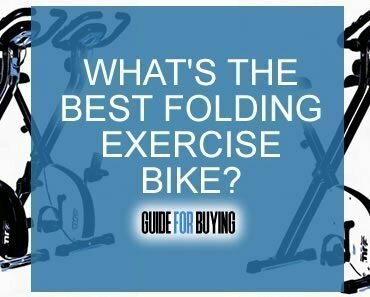 This unit comes completely pre-assembled and ready to use straight from the box. Not only that, but it comes with a three year warranty. We think this makes it well worth its price. This is the most expensive one on our best rated infrared heaters list, but for good reason: it’s both an infrared heater and a fireplace. You don’t just get the warmth that only an infrared heater provides. You also get the cozy look and sensation of having a fireplace without the hassle. Plus, it provides more efficient, comforting and natural heat than other types of portable/instant fireplaces. Not only that, but this fireplace can actually be moved from room to room, thanks to its EZ glide casters. Households with children won’t have to worry about them accidentally turning on/off the unit, thanks to its child lock safety feature.